So, can anyone guess what this is?? That’s right. 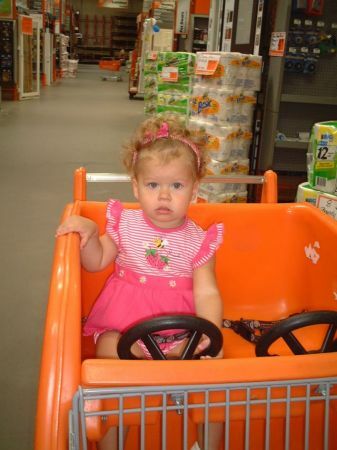 Mara is going to be a big sister. 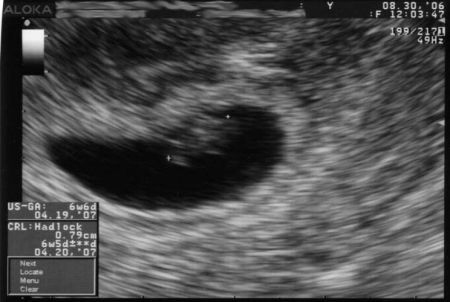 For all you sleuths out there you will see that the date on the ultrasound is from August. This go round we had an early scan (not sure why). We don’t have the “typical” ultrasound until around another month or so where you can really see the peanut. Yeah, if I wasn’t male I might even know what week of the pregnancy we are in. Sorry, Mom will need to put that in the comments. Sorry for the hiatus we’ve recently had posting to the website. I’ve been sick with a virus. This post will be short but sweet as always. 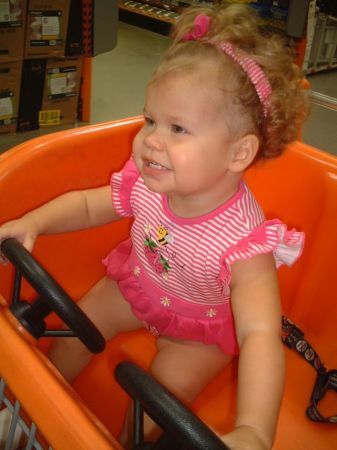 Here are a couple of pictures of Mara driving the shopping cart a couple of weekends ago at Home Depot while we were getting some household items. OK, Mara was jealous of Parker’s bug. So the family took a trip over to the natural science museum and roamed around on Saturday. At the end we went in the museum store and picked up a new friend for Mara named P Mantis. He’s a sociable fellow. 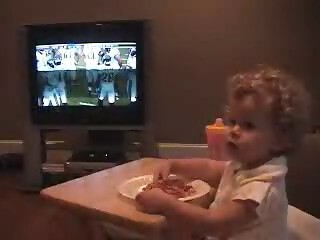 One of his favorite activities is to play catch with a ball, and he was trying to teach Mara the game on Sunday morning. She is a rookie, but she is picking it up quick. She sure has fun. 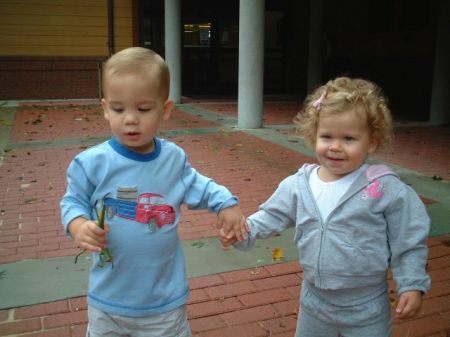 Mara had her first trip to the library and it was with none other than her “little boy friend” Parker. Shannon & Bob’s sweet little boy who is now ~21 mos. old. You can see among these pictures they are having a great time. Atleast until Shannon & I get involved and make them hold hands, hug, and kiss each other. They were good sports. Parker could not get enough of the door you see him coming out of at the library. It was a little playhouse area set up for the kids in the library. Very cute. However Shannon & I did get called down by the librarian because our kids were being too loud. Oh well, we were in the kids section. Who really wants to call down your little ones when they are apparently having such a great time and being very fun! You’ll see we worked in some quiet time with books. They picked out what they wanted to read. Mara must get her own Preying Mantis toy from the science museum like Parker’s. She carried the thing everywhere once she got her little hands on it. Kind of creepy, if you just noticed it randomly you would’ve thought it was real! We might visit there this weekend and see what’s going on so stay tuned for some pictures from the science museum too possibly . I will allow you to hold my pointy finger but don’t distract me from my bug! You can give me a kiss if I can hold your bug!